Fantastic time onboard the Jolly Roger. Fantastic time onboard the Jolly Roger. Snorkeling took a long time to off load into the boat to go see the turtles or you could just jump in and swim the 100 yards over to the ship wreck. Wonderful sail to two snokel sites, one with swim with turtles. Was a beautiful catamaran and the crew was super! The tour boat and staff where ok.
Best excursion ever - I booked us as a private group (14 people) with Silver Moon booking the Moon Dance power boat - luxury excursion. It was absolutely fabulous - literally living the dream of a luxury yacht for a day. Spent the day at Carlisle Bay. So much fun with great staff! So much fun with great staff! Tons of fish and turtles! Heavy winds so had to go to alternate site. Heavy winds so had to go to alternate site. VERY crowded snorkeling spot with turtles. Not a fan that they feed them. Ship wreck was nice. We motored over to Carlisle Beach to swim with turtles (and we did) and then motored closer to the beach and anchored for a swim. Then we set sail and sailed down the coast and back for around 2 hours. It was awesome and a perfect day. Again, felt a bit like herded cattle. This was our third Tiami "Fast Cat" snorkel day. This was our third Tiami "Fast Cat" snorkel day. 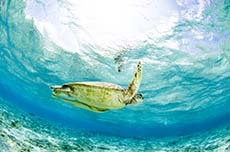 Their catamarans are clean and fresh, the crew is fun and professional sailors, and the snorkeling is fun even if the turtles don&apos;t all come by! A must-do in Barbados!! This was a very nice afternoon... I’ve been on better snorkeling tours, but this was good value for the money. And if you like to drink (we don’t), then the unlimited rum punch may just be worth the price on its own for you. Wonderful sailing excursion with two snorkeling stops. Calabaza Sailing is the best snorkeling excursion I have ever taken. Our first time snorkeling. Took a ride to 2 different areas where there was a small area with a reef. Not very colorful. Kinda grey and brown. Some small fish, but not very colorful. But it was fun. saw lots of turtles but it was crowded in the ocean. It was a party ship after the snorkeling was done You went to two spots for snorkeling and swimming. It was a party ship after the snorkeling was done You went to two spots for snorkeling and swimming. You show a ship wreck with very colorful fish. Too many people. Boat was not a catamaran. Another great choice...we made two stops. We took a Tiami catamaran to go snorkeling. Best day of the cruise! Best day of the cruise! Free flowing rum punch, great food, great snorkelling, beautiful beach and very friendly people!